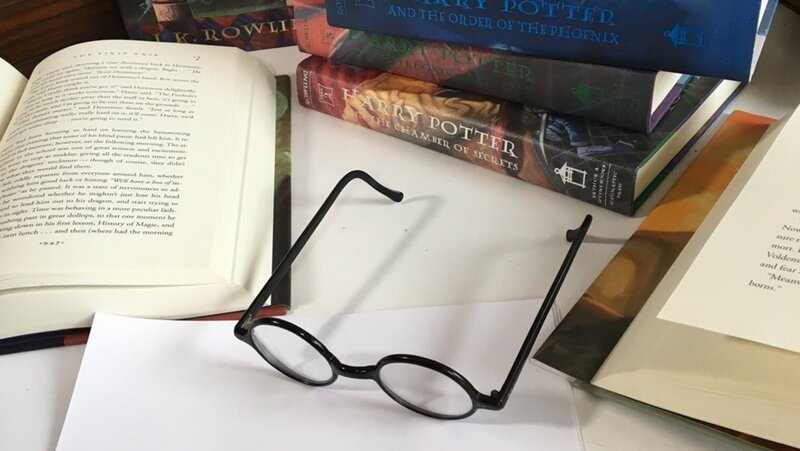 Bloomsbury have announced the theme for Harry Potter Book Night 2019! Harry Potter Book Night returns for a fifth year on Thursday 7th February 2019 with the theme of Hogwarts School of Witchcraft and Wizardry. Sign up at www.harrypotterbooknight.com to register for an event kit and to make sure you’re one of the first to hear all the latest Harry Potter Book Night news. Not everyone is lucky enough to attend a school where the staircases constantly move, portraits talk to each other and students get to study magical lessons such as Potions, Charms, Transfiguration and Herbology. Bloomsbury will put this amazing school and all the exciting adventures that have happened within its walls at the very heart of Harry Potter Book Night 2019. There have now been over 35,000 events organised since Harry Potter Book Night began in 2015 with over 13,000 organised in 2018 alone. Bloomsbury aim to make Harry Potter Book Night 2019 the biggest yet. With an updated event kit themed around Hogwarts and lots more exciting elements yet to be announced, once again fans of all ages will have the chance to celebrate J.K. Rowling’s wonderful novels – and pass the magic on to young readers who haven’t yet discovered these unforgettable books. And remember to share your ideas and plans for Harry Potter Book Night on Twitter and Facebook using#HarryPotterBookNight. Bloomsbury have announced today that they will publish House Editions of Harry Potter and the Chamber of Secrets! The Harry Potter and the Chamber of Secrets House Editions will be published in hardback and paperback on 28th June 2018. Larger images of each cover may be seen in the gallery. 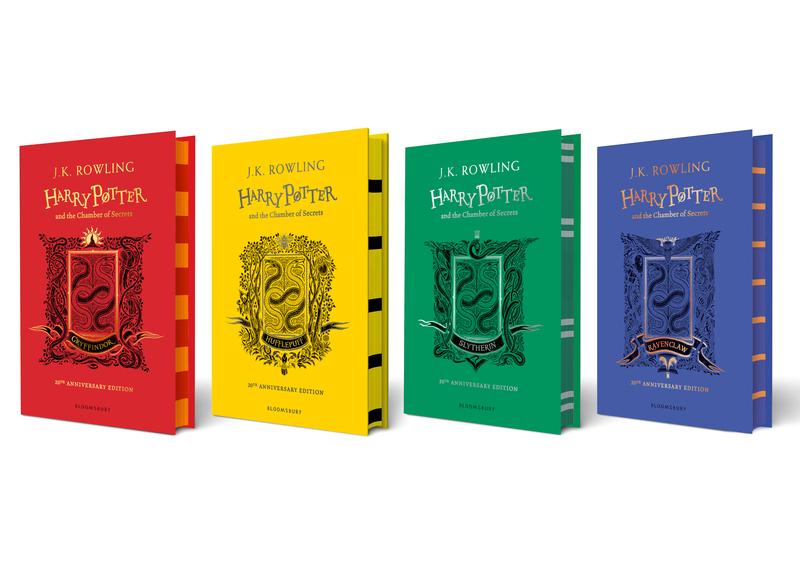 House Editions of Harry Potter and the Philosopher’s Stone were released last year. 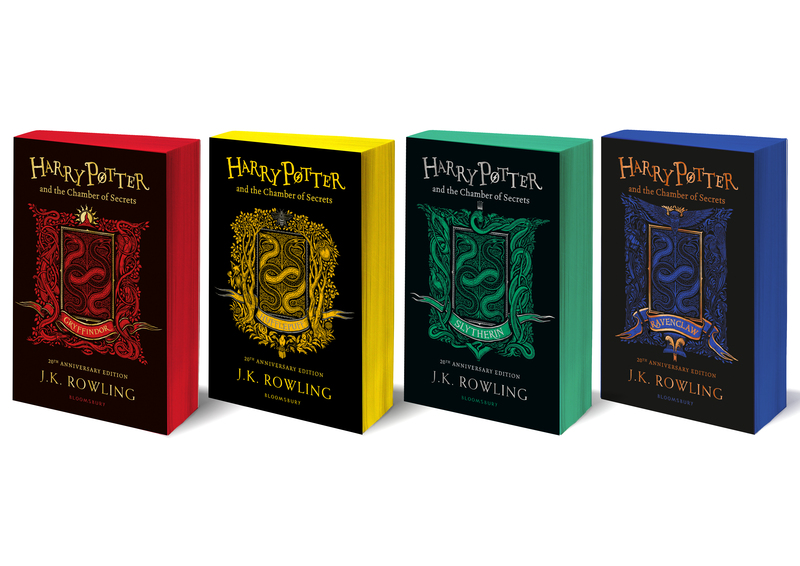 Bloomsbury have asp confirmed their intention to publish House Editions of the remaining five novels in the Harry Potter series. Dates yet to be decided. The colors for each of the House Editions will alternate between black and the house color, for the paperbacks and hardbacks, to create a beautiful set for your bookshelf! 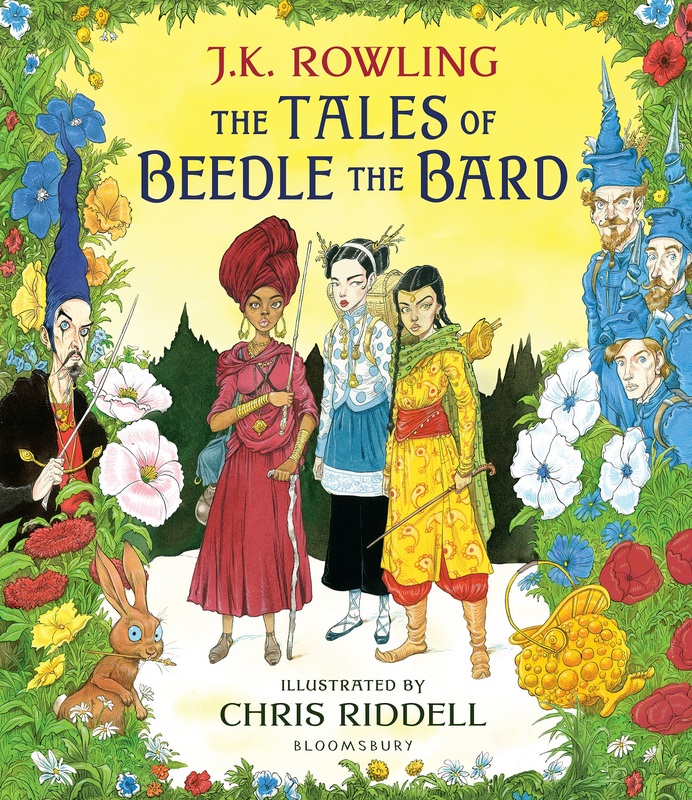 Illustrated by Levi Pinfold, who created 2017’s spectacularly successful House Editions of Harry Potter and the Philosopher’s Stone, the covers will feature an interpretation of the door to the Chamber of Secrets, with beautiful iconography and features woven in to the design that are particular to that house. There will be complementary hardback and paperback editions of Harry Potter and the Chamber of Secrets. 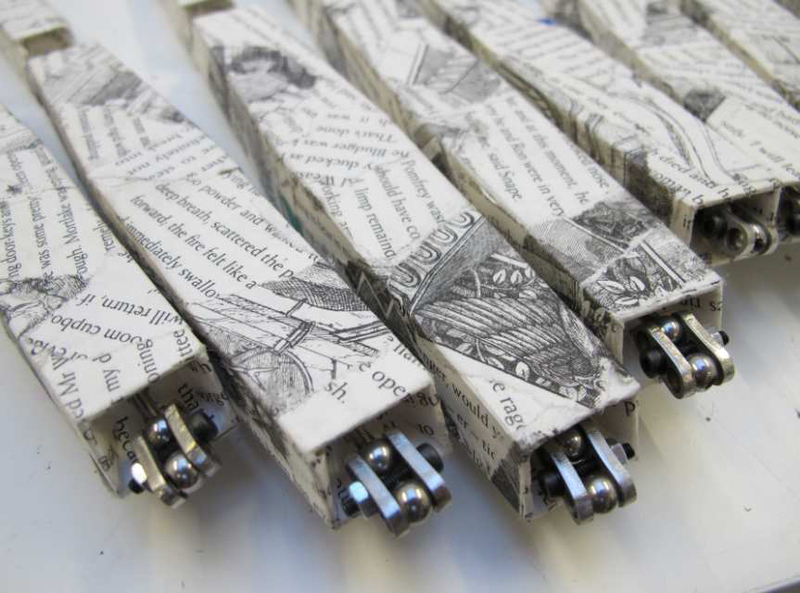 The hardbacks will be in each house colour with artwork in black and striped sprayed edges. The paperbacks will be black with artwork in the corresponding house colours. Both editions will contain additional content including an illustration of the house common room by Levi Pinfold, a house introduction and a mini-feature on house-elves. Harry Potter and the Chamber of Secrets was first published in 1998 and continued Harry Potter’s adventures at Hogwarts. It introduced some of the most-loved characters from the wizarding world, including Dobby the house- elf. The 20th anniversary House Editions of Harry Potter and the Philosopher’s Stone published last year were a huge success selling over 180,000 copies (UK TCM) across all eight editions. 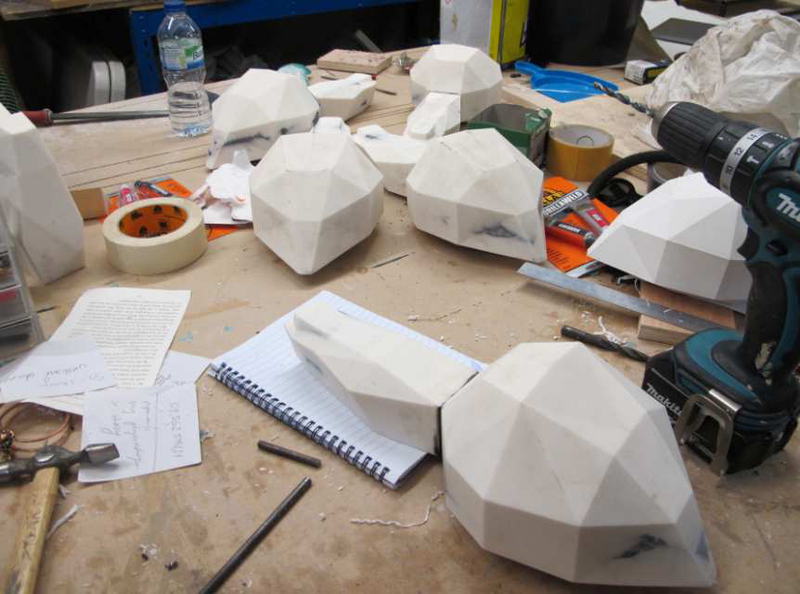 They became the backbone of the huge campaign for the 20th anniversary that included breaking a Guinness World Record, a celebratory video of fan favourite moments that has been viewed over 10 million times, and the must-see Harry Potter: A History of Magic exhibition at the British Library. Overall sales of Harry potter books were up by 50% in 2017 according to UK TCM figures.